One of a kind 40 acre parcel with rolling hardwoods in the scenic area east of Ogema! This incredible parcel is access via easement from Hwy 86. 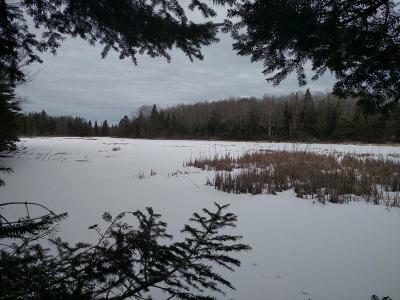 The property has some tremendous features including a large natural pond on the northwest corner, Holmes creek looping through the southern end and huge maple, oak and aspen are found throughout the property. The beautiful rolling landscape produces some natural travel routes for deer and there some well established game trails, grouse were also flushed while walking this parcel. There is a narrow creek to cross just before you enter the property and may not be suitable for vehicle access. This is a great property for hunting, timber investment or possible maple syrup operation.